A card by any other name is YOUR card! Plastic cards are available in thicknesses from 7 mil to 30 mil in a variety of substrates, PVC, Recycled PVC, Styrene, PLA, Polyester, Kimdura, and Teslin. 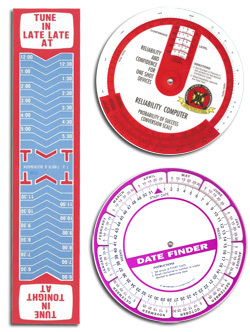 Choose standard size of 3.375” x 2.125” or a combination card that includes one or two or three key tags or choose from a variety of key tag sizes, individual or contained within a card size or create your own custom die shape. Choose to enhance YOUR card with additional features such as silk screen metallic or pearlescent ink colors and/or foil stamping. 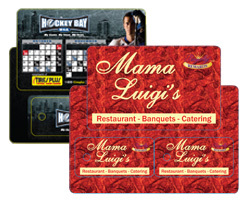 Magnetic stripes, signature panels, and scratch off panels are additional card options secondary to printing YOUR card. 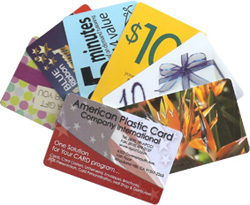 Offset, digital, flexography and silk screen printing are utilized on a variety of materials offering our clients the opportunity to choose the most cost effective product for their card program. Deliver critical data to technical pros or field reps who don’t have time for complex computations using dimensional print! Our circular calculators, rulers, slide rules, and templates offers hands-on, full-motion tools packed with pages of pre-calculated information into concise, portable formats that deliver situation-specific answers. Engagement is the critical pre-commitment step that leads to investment. Circular calculators, rulers, slide rules, and templates infuse your point-of-purchase strategy with full-motion functionality that anyone can access instantly. The hands-on formats can be consulted by sales associates and shoppers alike, delivering on-the-spot answers without the need for electricity or an Internet connection. Magnets are no doubt the one product that keeps selling long after every other promotional item has been tossed away and long forgotten. 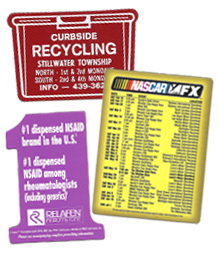 Custom magnets are a proven, simple, and cost effective marketing tool for making your message stick. Magnets are Refrigerator Advertising keeping your company’s advertising in front of your target client base 365 days a year! APCCI can affix your magnets to a postcard or inside a one piece mailer announcing a new product or service, add a coupon incentive, or drive them to your web site!